Do you have an appetite for modernist architecture? You will once you see this DS15 custom designed home, built in 2008, located 10 minutes outside of downtown near the Hour Glass District sitting on 1/4 acre offering you form and functionality. This home is owned by the original owners and has been well-maintained. 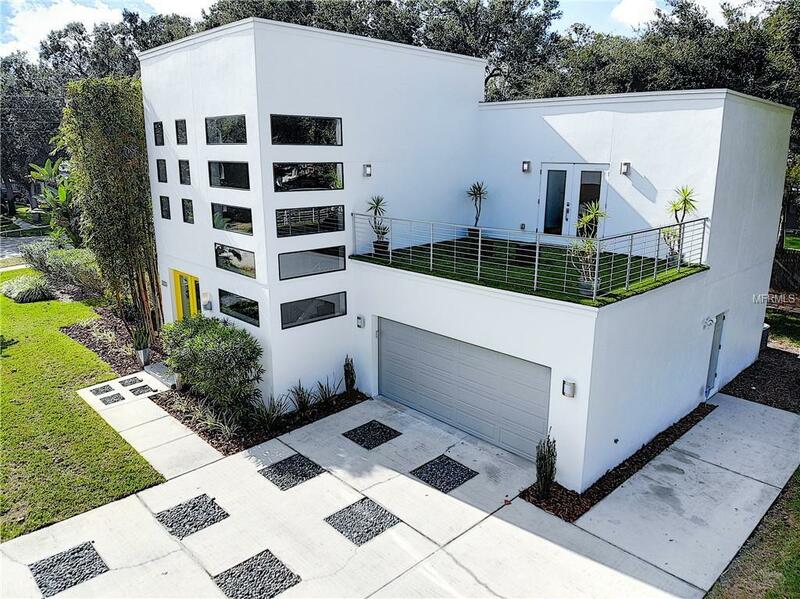 The 3 bedroom, 2.5 bathroom home has a newly painted exterior/interior featuring an arresting entry boasting over 24ft high-ceilings, and tinted windows through-out providing an abundance of natural light. The dining/family room are open. The 3rd bedroom located on 1st level has been re-invented into a tranquil room for exercise. The kitchen has gas stove, and stainless steel appliances is open to the living area with electronic blinds and French doors leading to the exterior side yard with room and plans for a pool. All exterior lighting has been updated. Custom railing leads you upstairs to the large Master bedroom with French doors leading to balcony, with double closets. Master bathroom has a shower and separate tub, new vanity, dual sinks, faucets, sitting area and private commode. 2nd bedroom and over-sized media room are located on the upper floor. Media room/ bonus room has access through French doors to the outdoor lanai and is perfect for entertaining, or can be converted to a 4th bedroom. Through the oversized 2-car garage, you'll find hidden access to an air conditioned storage area formerly an artist's lair and recording studio. Listing provided courtesy of Metro City Realty.